Eastern exposure areas are the parts of the garden that get strong early morning sun. Though the sun is fully on the plants, the heat intensity is low since the air is generally still cool. These areas fall into partial shade during the heat of afternoon. The best flowers and plants for growing in eastern exposure are those that do not thrive in very hot sun, but do require some amount of sun for optimal growth. Hydrangeas thrive in partial shade or eastern exposures. Hydrangea (Hydrangea macrophylla) are among the flowers that thrive in eastern exposures of the landscape and need protection from the hot afternoon sun. The shrubs grow to a mature height of 5 feet with an equal spread, and bloom from spring to summer with pink and blue, ball-shaped inflorescences. 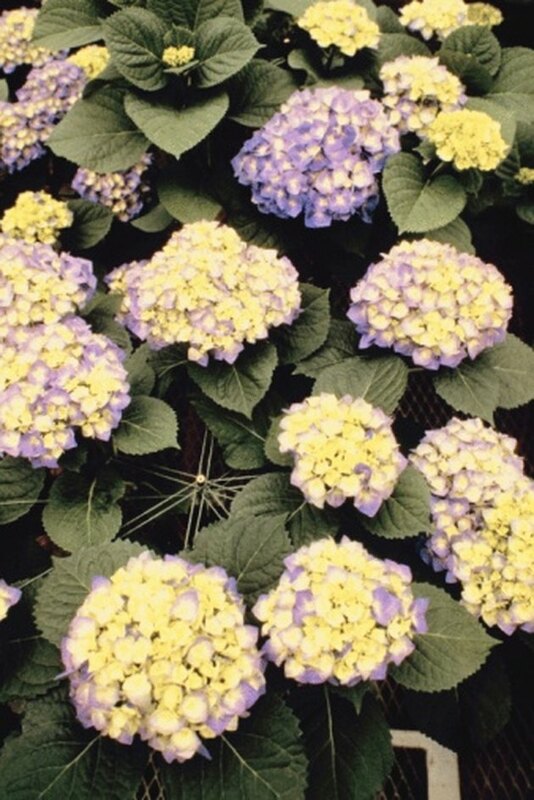 Plant hydrangeas in moist, well-drained soil, preferably amended with manure or peat moss. Prune the plants well after bloom time in summer and water well during hot summers. Hydrangeas also grow well in containers as plants for the porch and patio. Bush violet (Browallia speciosa) are flowers well suited to growing in areas of partial shade to shade — hence ideal for growing in eastern exposure in gardens. Bush violet is also referred to as sapphire flower, amethyst flower and browallia, and blooms with purplish-blue, violet or white star-shaped flowers depending on cultivar. The plants grow to a mature height of 1 to 3 feet and thrive in fertile, well-drained, moist soil. The plants develop a rounded mature shape and do not respond well to overwatering or overfertilizing, producing more foliage and less flowers. Dahlia (Dahlia hortensis) is a perennial flower often grown as an annual, blooming with yellow, red, pink, white or bi-color flowers. The flowers are not tolerant of high heat, preferring areas of partial shade or eastern exposure where they are protected during hot afternoons. The plants grow to a mature height of 1 to 2 feet and bloom from the middle of summer and well into fall. Dahlias prefer fertile and well-drained soil and are heavy feeders, thriving on regular fertilization. Water the plants well and apply liberal mulch to keep the roots cool. Why Are My Vinca Flowers Wilting?